There are 7 companies listed in our Web Design category for Helena. This page shows listings 1 to 7. If you'd like to check the Web Design category for other cities in Montana click a link on the left. Free Website Design + Redesign Every 24/36 Months. Stephen D. Behlmer, M.D. is a physician who is Board Certified in general dermatology with additional specialty training and expertise in cancer surgery, cosmetic surgery and reconstructive surgery. He was born in Dubuque Iowa and graduated from the University of Iowa Medical School. He received training in Internal Medicine and worked as an emergency room physician in Billings prior to three years of additional dermatology training at the University of Missouri. Dr. Behlmer has been in practice in Dermatology and Dermatologic surgery in Helena MT since 1981. He is a member of numerous specialty societies, including the American Academy of Dermatology, the Montana Medical Association, the American Society of Dermatologic Surgery and the American Academy of Facial Plastic and Reconstructive Surgery. 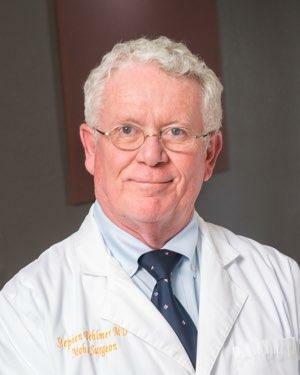 Dr. Behlmer has received numerous honors for his work in medicine including a Physician’s Recognition Award of the American Academy of Dermatology, and he has been selected to be included in “Best Doctors in America.” Dr. Behlmer is actively involved in psoriasis research. Dr. Behlmer is active in the community. He has been on the Board of Directors for United Way, on the Board of Directors for the American Cancer Society and he has been elected to serve on Helena District No. 1 School Board as a trustee. He has also been very active in the American Academy of Dermatology serving on numerous boards as well as being on the executive committee of the American Academy of Dermatology Advisory Board, where he represented Dermatologists from the Northwest Region of the United States. Jeffry A. Goldes, M.D. is a physician who is Board Certified in General Dermatology, Anatomic Pathology, and Dermatopathology Sub Specialty Fellowship. Jeff is an Army brat born in Honolulu, Hawaii. He graduated from Boston University School of Medicine. He received training in Anatomic Pathology, Dermatology and Dermatopathology, both at University of Washington, in Seattle, and University of Minnesota, Minneapolis. Dr. Goldes was in military practice with the U.S. Air Force at Andrews Air Force Base, Maryland, and subsequently practiced in private in Washington D.C. He has been in Helena, Montana, since 1990. 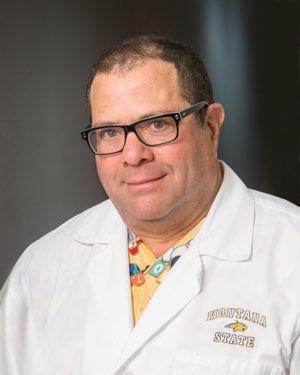 He is a member of numerous specialty societies including the American Academy of Dermatology, and Montana Academy of Dermatology, Montana Medical Association and American Society of Dermatopathology. Dr. Goldes has been a member of the Test Committee for Dermatopathology for the American Board of Pathology. He has published numerous research articles and contributed to many textbook chapters about dermatology and dermatopathology topics. Dr. Goldes is active in the community. He was a member of the Air Force Reserves and the Montana Army National Guard for years. He was activated during the Persian Gulf War and served at Wilford Hall U.S.A.F. Medical Center, Texas. He left the military in 2002, after 27 years of active and reserve duty. He volunteers to see patients through the Cooperative Health Center, the Leo Pocha Clinic and God’s Love Homeless Shelter. He remains in the International Society of Dermatopathology and as a patron of that society, encourages more international cooperation in Dermatopathology. Education: Boston University School of Medicine, Anatomic Pathology, Dermatology and Dermatopathology, both at University of Washington, in Seattle, and University of Minnesota, Minneapolis.